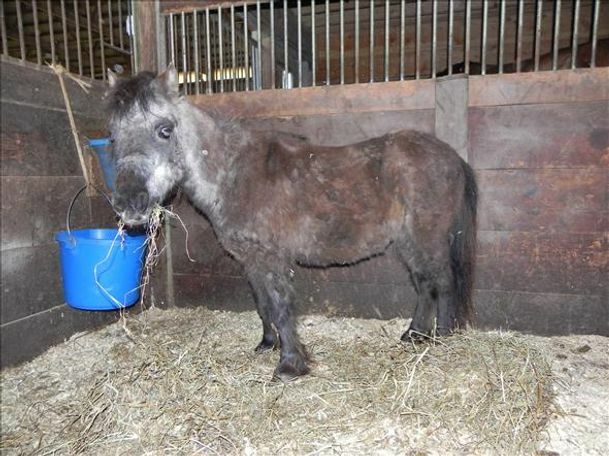 CB is an adorable black miniature horse gelding that came to HAHS through a local animal control case. CB had been living in a paddock alone and was covered in burrs. 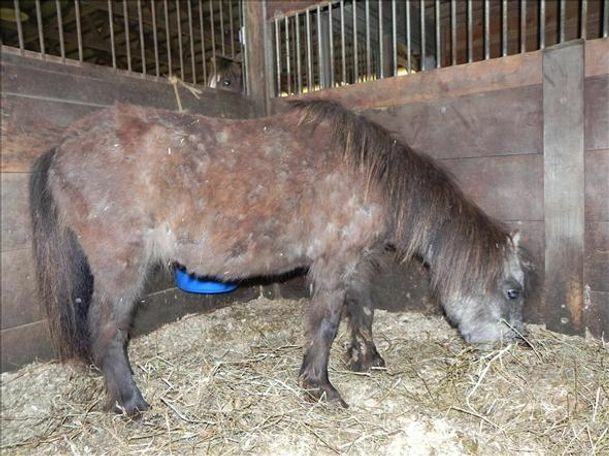 His halter had been on for so long that it had produced sores on his skin. 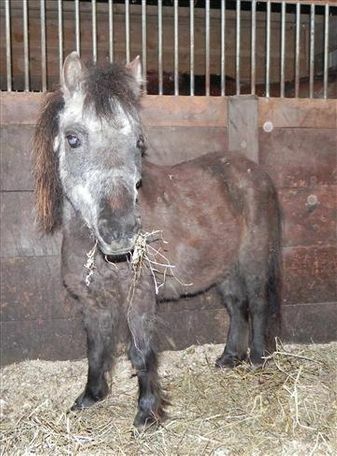 CB recovered well and soon proved that he is a friendly little gelding that likes attention and enjoys being groomed. CB would make a great pasture pal!